Spend your summer in Miami's notorious South-Beach as the Miami Music Festival moves to Miami Beach for the summer of 2019! While enjoying the white sands and blue waters in Miami Beach's Art Deco District, you will perform a role in large-scale opera productions with full orchestra and sharpen your craft with individual instruction with the opera industry's prominent faculty of voice teachers, coaches, conductors and directors. A professional real-time experience learning and producing professional-level operas on stage with full orchestra. Participants work with renowned faculty, conductors, stage directors, coaches, and voice teachers from prominent institutions including the Metropolitan Opera, Washington National Opera, Houston Grand Opera, Glimmerglass, Florida Grand Opera, the Bolshoi, and the Royal Philharmonic, among others. Each session concludes with full-scale productions with the MMF Orchestra, prepared by our production team of professional directors, designers, and costumers. Many performances are reviewed by South Florida's arts critics. Following the festival participants have the option of purchasing a professional video recording. Within 5 years, MMF Opera Institute Alumni have been engaged by numerous leading Young Artist Programs including, Santa Fe Opera, Glimmerglass, Merola, Wolf Trap, Palm Beach Opera, and Florida Grand Opera as well as with prestigious companies including the Metropolitan Opera, Berlin Philharmonic, San Francisco Opera, the Cleveland Orchestra, Central City and Washington National Opera. A select group of pianists will have the opportunity to participate in the Vocal Collaborative Piano Institute on full scholarship, including housing. Pianists interested in gaining knowledge and experience in the roles of vocal coach, accompanist, repetiteur, assistant conductor, and prompter will have the unique opportunity to study and work alongside leading professionals from the opera industry. The Miami Opera Institute is also accepting internship applications for assistant directors, stage managers, costumers and production staffers. 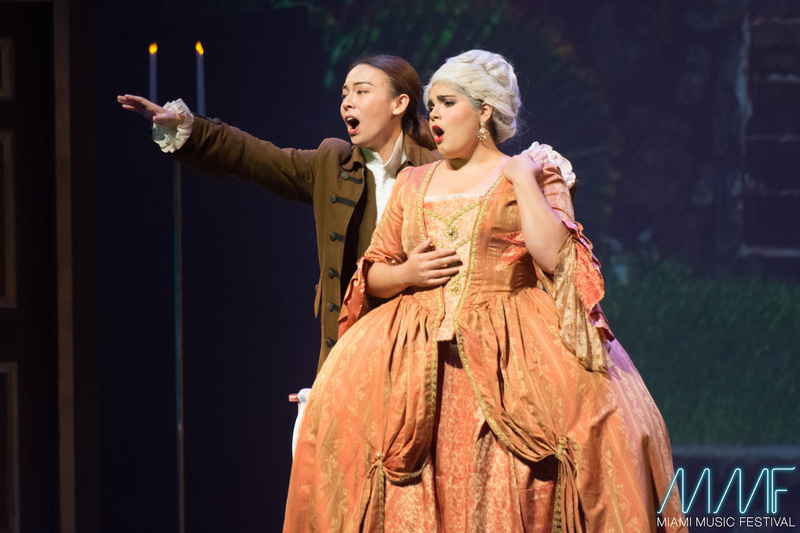 Opera interns work directly with MMF’s professional production staff and gain experience working on each of the festival's full-scale productions. Please contact admissions@miamimusicfestival.com for details and how to apply.